Cusp is a display font that was initially inspired by austere Art Deco lettering. 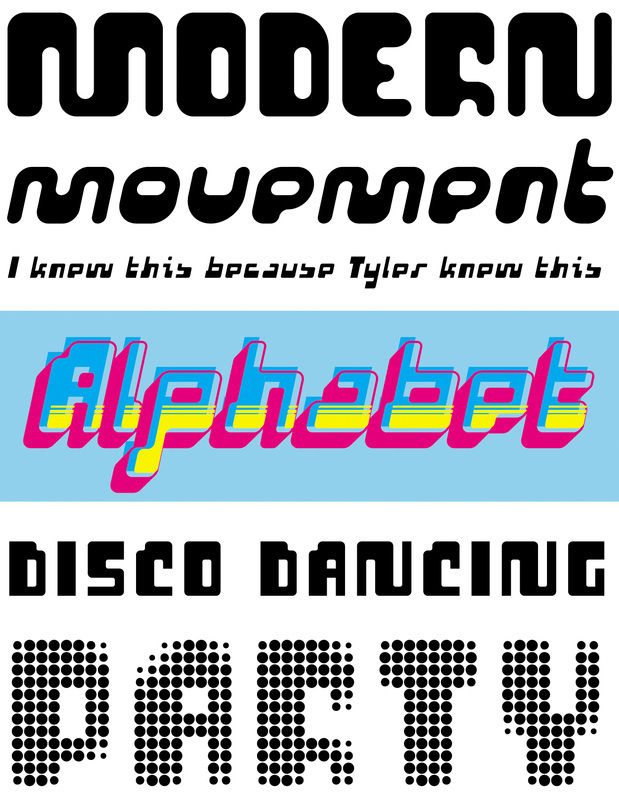 After the capitals were refined, then the lowercase was designed with a bit of techno flair. 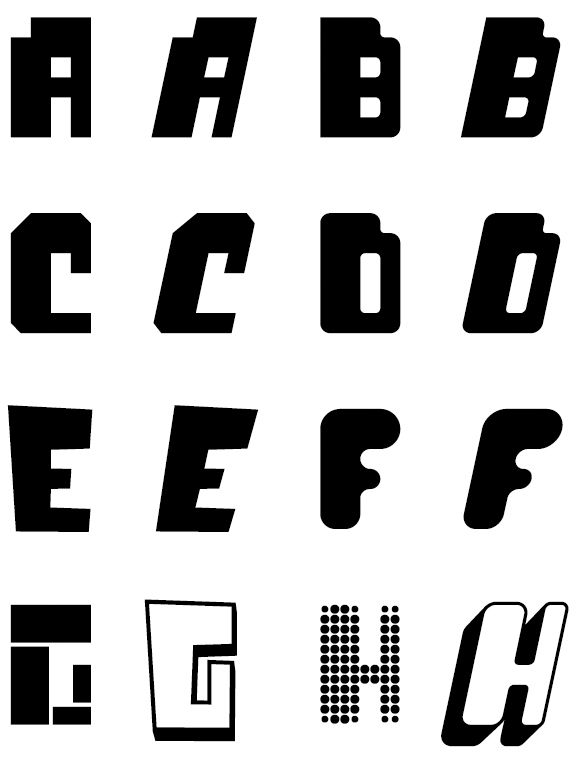 From these basic letterforms a variety of styles were created, ranging from the rigid DeStijl to the whimsical Loose. The various styles of Cusp. Cusp is a versatile display font system that allows the user to mix, match, and overlay the letters for a dynamic effect. 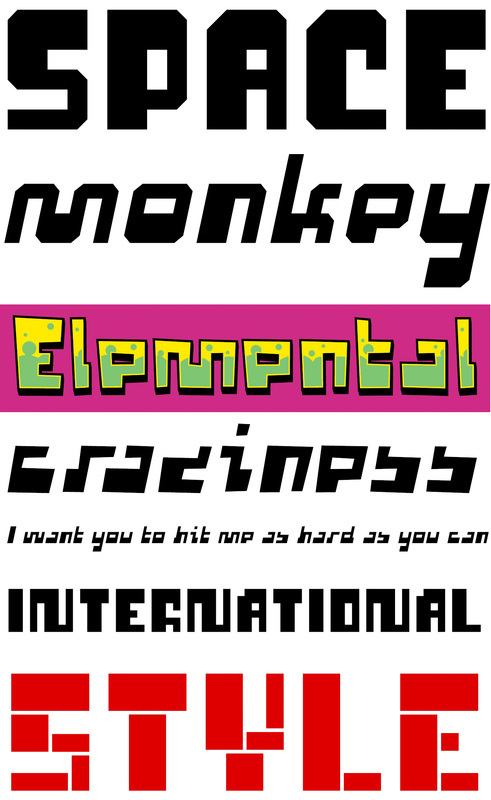 Two Fill fonts were designed specifically so that one can create graffiti-like multi-layered effects. But you don’t have to limit yourself to the Fill fonts—you could offset Dots over Globular, or De Stijl over Square—your imagination is the limit.